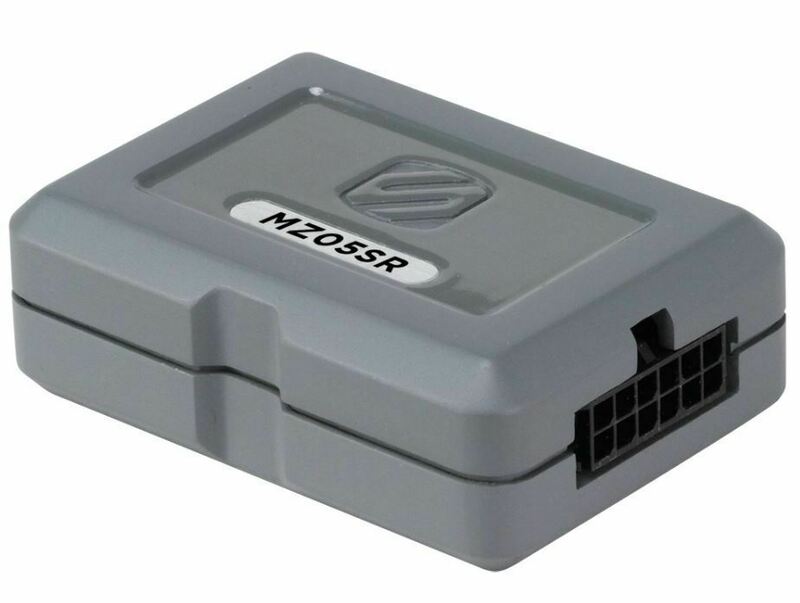 This MZ05SR allows you to replace your factory OEM stereo while retaining factory steering wheel controls, if the vehicle is equipped. This interface will maintain the data-controlled +12V accessory output as well as provide navigation outputs for reverse, vehicle speed pulse and parking brake. An interface is a small computer system that allows your new head unit to properly communicate with your vehicle’s computer system. If you install a new aftermarket radio without using an interface, you will lose many of the standard security features of the vehicle. This is due to vehicle manufactures running part of the vehicle’s computer system through the OEM radio. Functions lost include, but not limited to, are warning chimes (keys left in ignition, lights left on, low fuel etc. ), security and alarm systems, +12V accessory and more. If the +12V accessory is lost, your radio will not turn on/off automatically and will be a manual process.